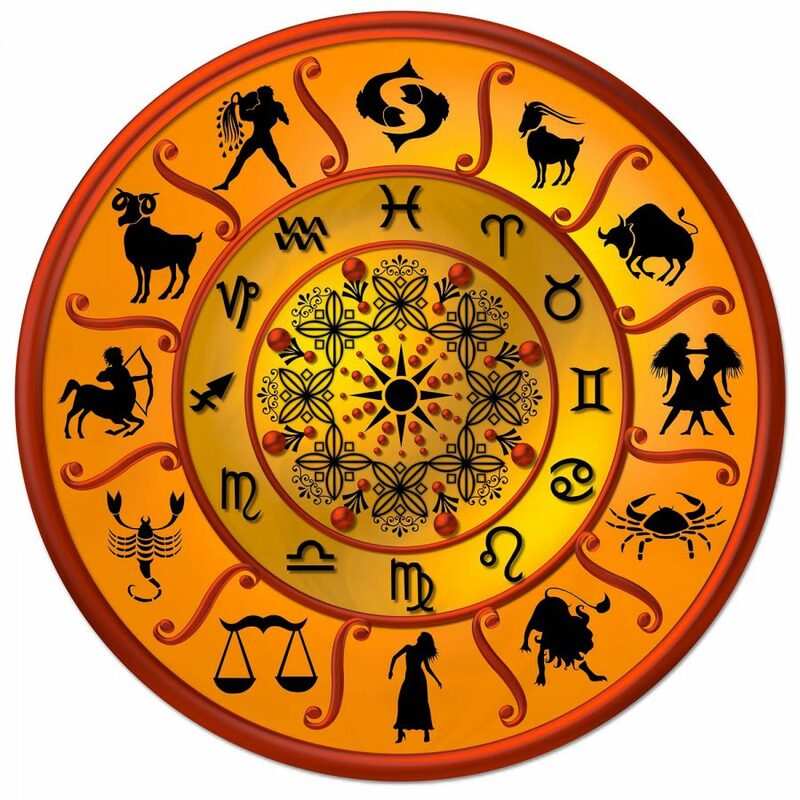 ARIES – Your kind nature will bring many happy moments today. Don’t overspend too much in order to impress others. Someone you know might overreact to situations concerning finance, bringing uneasy moments at home. Sudden romantic encounter are foreseen today. Today, you might get to know at work that the one you considered as your enemy is actually your well-wisher. Shopping and other activities will keep you busy most of the day. Everything seems happy today in your married life. TAURUS – Don’t waste your time in building castle in the air. Rather conserve your energy to do something meaningful. Improvement in finances will make it convenient for you to pay your long-standing dues and bills. Your family members appreciate your effort and dedication Look forward to new relationship for happiness Good day for recreation and entertainment but if you are working then you need to look carefully at your business dealings. A sparkling laughter filled day when most things proceed-as you desire. Today, your partner might show a wonderful side of him/her. GEMINI – Cultivate a harmonious nature to kill your hatred because it is more powerful than love and deadly affects your body. Remember evil triumphs sooner than good. Your creative talents will prove to be highly lucrative if put to proper use. Do not share your personal matters with the casual acquaintances. Love life going to take a turn for the better as you develop a good You will benefit from the changes occurring at work. Not a very good day for traveling. Today, you will realize that your marriage had never been so beautiful. CANCER – Desert your stubborn attitude for the sake of your happy life as it is sheer waste of time. Investment made today will enhance your prosperity and financial security. Family responsibilities will mount- bringing tension on your mind. Your day could be little upset because of interruptions of family members of your spouse. You may be quite upset with your subordinates for not working as expected. Rash driving and risk should not be taken while on the road. Some of your works might get hampered today due to the disturbed health of your spouse. LEO – Your personality will act like a perfume today. You will make some extra cash today if you play your cards well. Relationship with your spouse might get strained because of unwanted interference of outsiders. Personal guidance will improve your relationship. Those appearing for competitive exam need to keep their cool. Let the examination fear not unnerve you. Your effort would definitely bring positive result. Resist associating with people that will harm your reputation. Looks like, you are going to get special attention from your spouse. VIRGO – Do not waste your time in criticizing others as it may affect your health. Long pending arrears and dues will finally be recovered. Good day to give some of your time to others. Being revengeful towards your lover will not bring any result-rather you should keep a cool head and explain your true feelings to your lover. Adapt to new techniques to increase your work efficiency-Your style and unique ways of doing things will interest people who are watching you closely. You need to move out and rub elbows with people at high places. Health of your spouse might go down a little bit. LIBRA – You may get rid of your tension. Don’t make investments in haste-Losses are certain if you don’t look at investments from all possible angles. You will be able to clear all outstanding family debts. Today your beloved would find it extremely difficult to deal with your erratic behavior. Today you can pick up additional responsibility that will lead to higher wages and a better position. Watch out for individual who might try to mislead you or give you information that might cause you some harm. You will spend a relaxed day with your spouse. 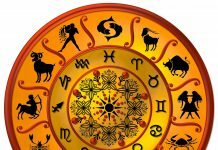 SCORPIO – Keep an eye on your weight and do not indulge in overeating. You will be in the mood to travel and spend money- but you will be sorry if you do. You will expand your base of friends and acquaintances if you participate in social functions and events. Don’t involve yourself in something improper as it could put you in some trouble. Your boss might come with a really bad mood today, which might become difficult for you to handle. Travel will be beneficial but expensive. Marriage is sometimes a trouble if you don’t give surprise to your partner for a very long time. SAGITTARIUS – Take proper care about your diet especially migraine patients who should not miss their meal otherwise it could give them undue emotional stress. Financial problems ruin your ability to think constructively. An old friend makes an unexpected visit bringing back pleasant memories. You will know today that the love of your partner is truly soulful for you. Take care of what happens around you- Someone might take credit for the work done by you today. Construction work undertaken today will finish to your satisfaction. After many ups and downs in your married life, today is the golden day to cherish your love for each other. CAPRICORN – Get rid the feeling of isolation and loneliness by spending your time with your family. Investment needs to be made with a long-term perspective. There will be an important development on your personal front-which will bring jubilation for you and your entire family. Beloved will be in a romantic mood. Bold steps and decisions would bring favorable rewards. Resist associating with people that will harm your reputation. Life will be really exciting when your spouse will come to you forgetting all the tiffs, embracing you with love. AQUARIUS – Harboring of ill-will against others will give mental tension. You should avoid these kinds of thoughts as these are life wasters and kill your efficiency. Financial hassles will be eased out with the help of your friends. You will feel disgusted today when you discover that someone you have always trusted is not very honest with you. Your beloved will seek commitment- Do not make promise that you will find difficult to keep. Good day to send your resume or appear for an interview. Choose your words with care when interacting with important people. Health of your spouse may keep you worried. PISCES – You might find it difficult to control your emotions-Your unusual behaviour will confuse people around you and leave you frustrated. Do not make rash decisions- especially when negotiating major financial deals. Relatives will provide support and lift the burden that bothering your mind. Your beloved will seem a bit irritated- which will add pressure on your mind. Do not be outspoken and emotional during business meetings-You can easily damage your reputation if you do not control your speech. A day when changes might be made at the last minutes to your plans. Wrong communication might create a trouble today, but you will be able to manage it by sitting and talking.